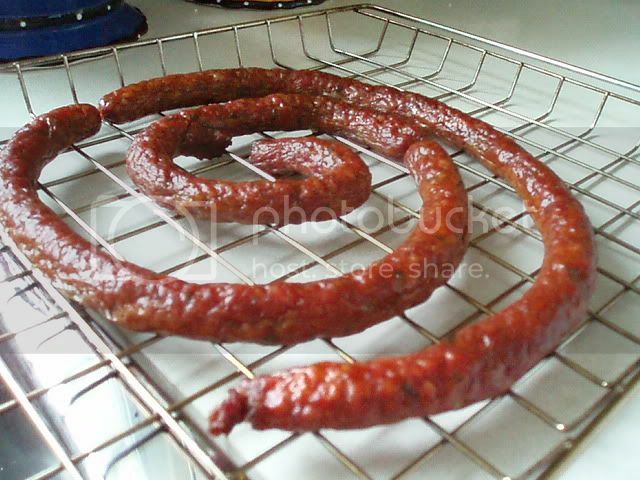 I have a coil of veal sausage in the smoker almost time to shut off the generator when i realize that i forgot to take photos of them before they went in. I have done this more times than i wish to count but will post photos when they come out. 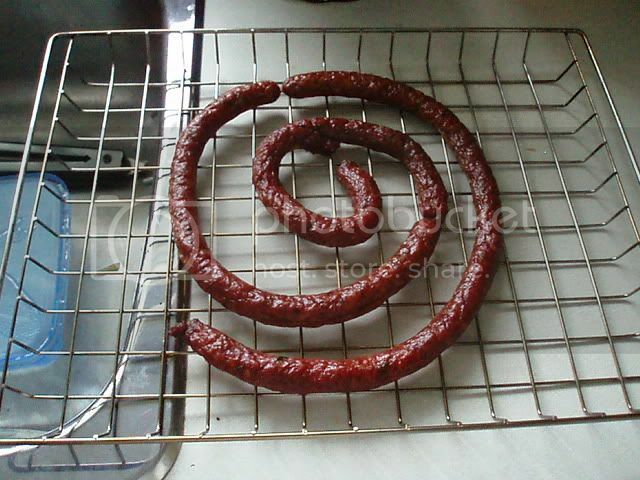 Here are a few shots of the finished sausage. Anyone have any suggestions for a sausage with a little more kick, but still mild. I bought these from a grocery called Highland Farms, they were from the counter.